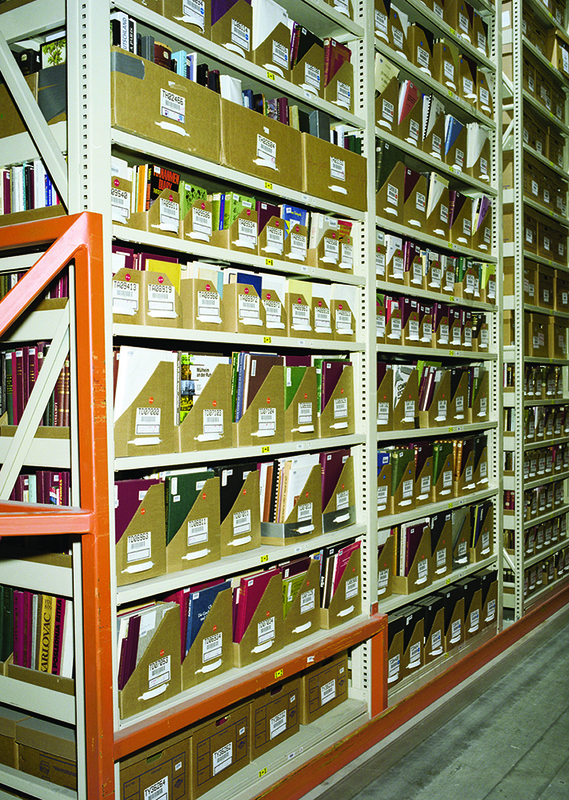 Gain on-site space with off-site storage. 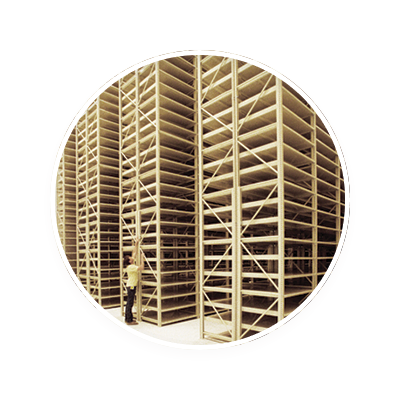 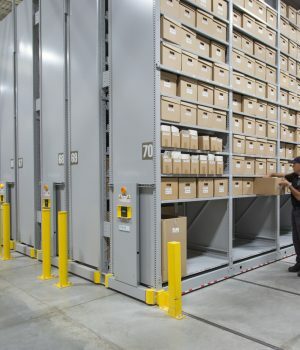 High-bay archival shelving systems function like traditional book shelves, but make the most of your off-site warehouse. 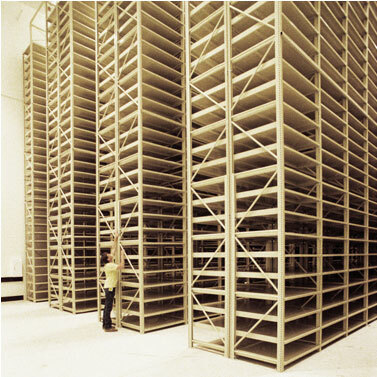 Designed to store more vertically, each high-bay shelving system can span up to 35 feet high. 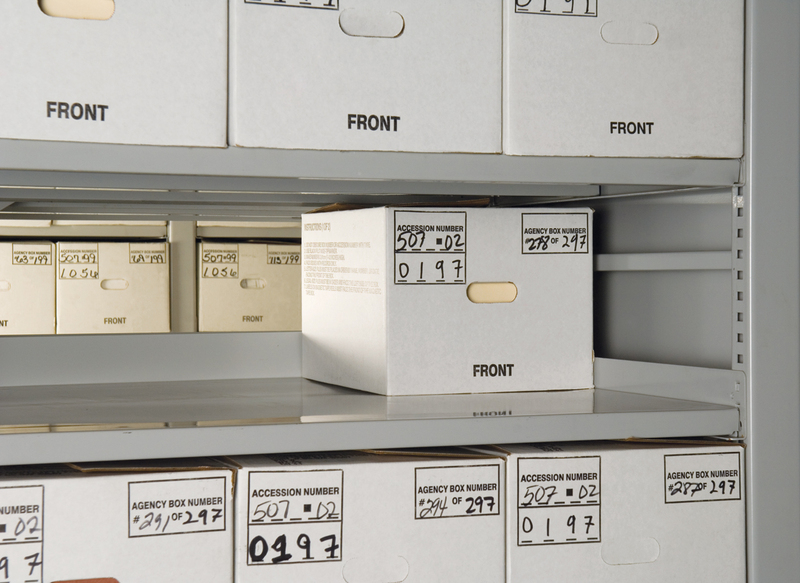 The Chemical Heritage Foundation in Philadelphia, PA acquired an historic brownstone to use as an archive storage facility. 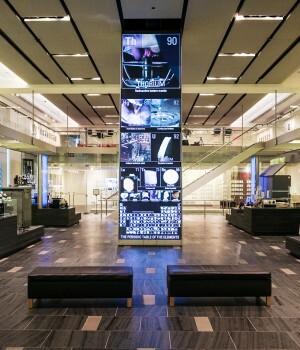 The building was extremely narrow, and the exterior had to be preserved for historical purposes. 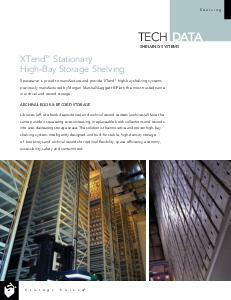 The design team determined that gutting the interior of the building and installing XTend® archival shelving systems from the ground up, would make the best use of the vertical space. 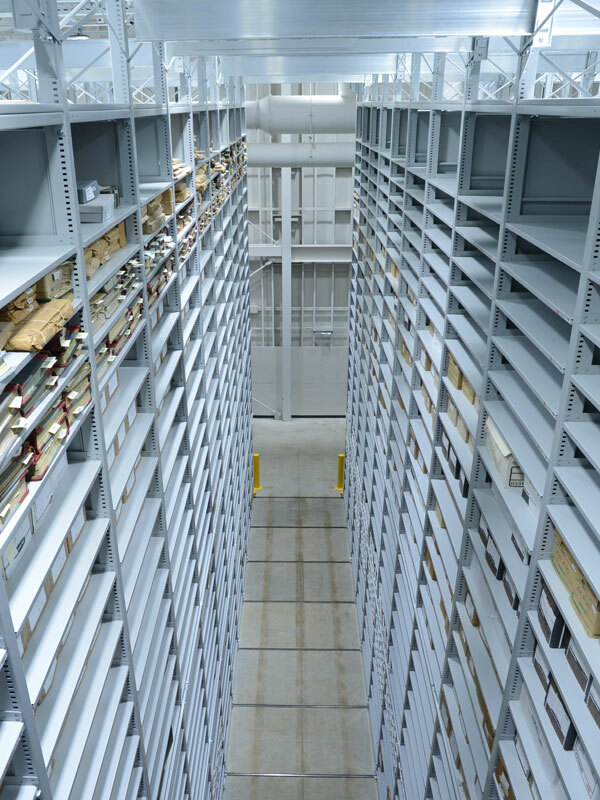 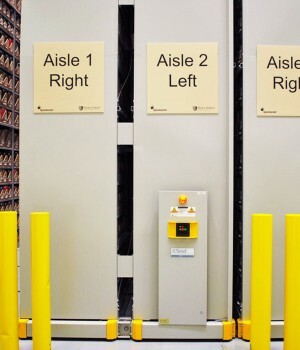 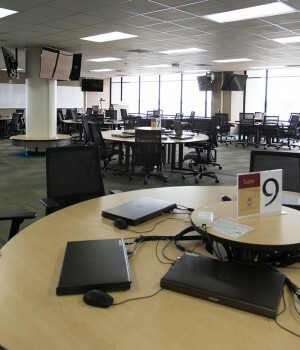 At the Chemical Heritage Foundation the storage capacity was further maximized by mobilizing the high-bay shelving system that was installed, so that idle aisle spaces were eliminated. 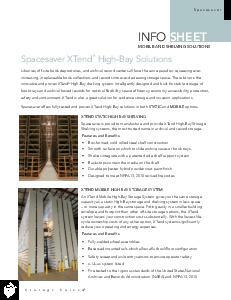 The XTend High Bay system was truly able to use every inch of both the floor space and the vertical height of the interior space. 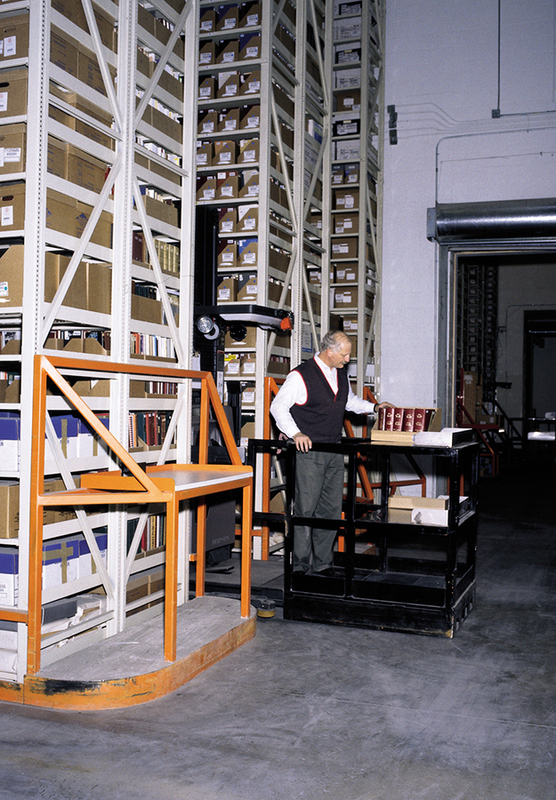 Xtend is structurally sound – a one-piece, welded upright frame and a patented side-shelf support system provides structural integrity that isn’t dependent on the shelves themselves.